Gift cards are a fine concept, but they sometimes fall short of their purpose. We often get cards for businesses we don’t patronize and don’t completely exhaust cards that do get used. 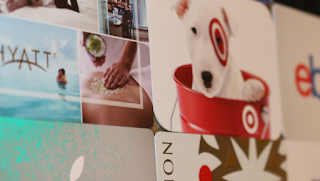 A new service called Gift Card Tank has a way to turn gift cards into money for charity. An organization with a good cause to promote can set up an account on Gift Card Tank that lets them collect donated cards. They can use standard page on the website to accept donated cards or create a special page for their group’s own website. Donors enter the details about the gift card that they are donating and Gift Card Tank converts the card into cash. The charities get the money through PayPal. Gift Card Tank deducts a processing fee but does not charge to be part of the program. To get more information, visit the Gift Card Tank website and click to the FAQ page.